Still, the kabali fever Nerupu Da not even consoled, the next boosting news for Rajini fans about the Enthiran 2.0. The upcoming scifi movie is scheduled for 2017 release on most expected date of Super Star. Today, the scifi director shankar spark the social networking by his status of 2.0 100th day celebration in the sets. Really the Super Star is magic to work on both the sets of Kabali & 2.0. Now, make its 100th day, might be successful running days soon. 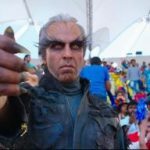 World wide fans can’t wait for a year to see the superstar on screen, but to make them quiet by releasing of some exciting official posters and teasers of 2.0. Official confirmation will be soon. 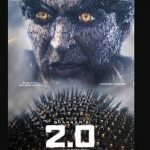 2.0 is an upcoming 2017 Indian Tamil science fiction film directed by S. Shankar and written by S. Shankar and Jeyamohan. 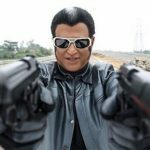 A sequel to Enthiran (2010), the film will feature Rajinikanth reprising the roles of Dr. Vaseegaran and Chitti, alongside Akshay Kumar and Amy Jackson. Produced by Subaskaran Allirajah of Lyca Productions. 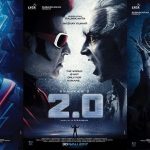 The soundtrack album will be composed by A. R. Rahman while the dialogues, cinematography, editing and art direction are handled by Jeyamohan, Nirav Shah, Anthony and T. Muthuraj respectively. The film is scheduled for a 2017 release.